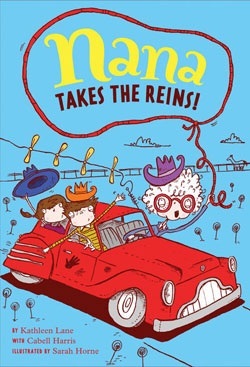 A rollicking adventure your 7- to 10-year-old won’t soon forget is what you’ll find in Nana Takes the Reins by Kathleen Lane with Cabell Harris. Nana decides she wants to go to the rodeo to become a bull rider. Her grandchildren, Eufala and Bog soon join in Nana’s adventure, and it isn’t long before they have a run in with Tuff and the Ruffies. 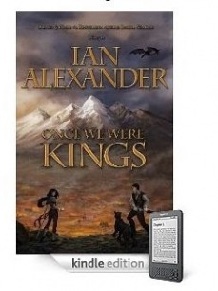 I honestly wasn’t sure what to make of this book in the beginning. An old lady for the main character in a kid’s book? It seemed to go against everything I thought a kid’s book should be. 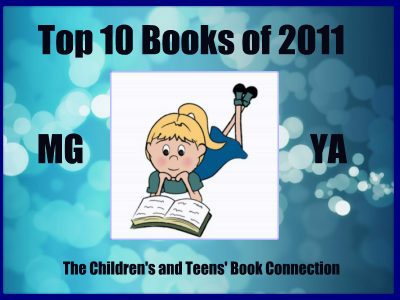 Yes, Eufala and Bog play a big role in this book–like I assume they did in the first book of this series, Nana Cracks the Case–but still, how could a kid relate to Nana? What I soon discovered as I read this book with my girls (ages 7 and 9) is that they aren’t supposed to relate to Nana. She’s just darn hilarious. She’s not your normal grandmother and she does wacky things. Eufala and Bog get to tag along on her adventures, which leads to some funny stuff, and as expected, these siblings fight just like other siblings do. The only average character in the book is the children’s mother, Elaine; though even she’s not totally average because she has this fixation with sour cream. My daughters and I spent the majority of the time laughing through this book. It’s a great wacky adventure that is enhanced by the zany artwork of Sarah Horne. I can’t imagine reading this story without the illustrations. They’re perfect. Even the most reluctant reader will get hooked on Nana Takes the Reins. I received this book from the publisher in exchange for my honest review. I received no monetary compensation of any kind to provide my opinion.